Bainbridge Clay Coated Foam Board is ideal for all your non-archival framing and mounting purposes. The FOMC12 foam board measures 12" x 16" and works great for art, picture framing, craft projects, photos, and more. The clay coated surface is extra smooth and is bright white on both sides. This board cuts cleanly and resists dents. Frame and mount like an pro with this Bainbridge® Clay Coated Foam Board. 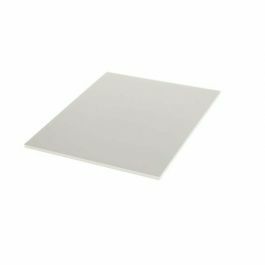 Our FOMC12 foam board in bright white measures 12" x 16" and is 3/16 inch thick. Try this lightweight yet sturdy board to mount art, craft projects, posters, and more. Foam board makes it easy to create a chic art gallery display of family photos or of treasured art projects. The clay coated surface offers an extra smooth finish and cuts cleanly with crisp edges every time. 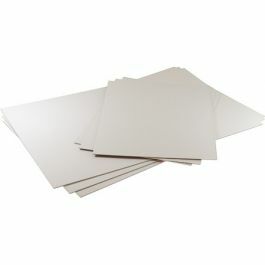 This foam board resists dents and works well for a variety of non-archival mounting needs. Keep your photos and projects looking sharp. Outer Dimensions: 12" x 16"
Provides a non-archival mounting surface for a 12" x 16" product.